Because being part of Synergy is more than just being a member of a gym. How would you like a card that gives you access to some incredible discounts and offers at some of our favourite businesses across Edinburgh and West Lothian? I know, stupid question. So how do you get your hands on such a card? Simple…..join Synergy. 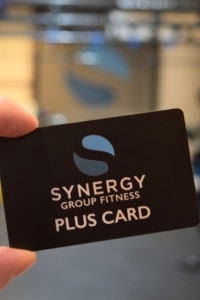 All Synergy Plus members are given a Synergy Plus Card as a membership perk, just ’cause we’re kinda nice like that. 20% off total food and drinks bill!!! Treacle; Independent cocktail bar and bistro where all dishes are made in-house using sustainable ingredients from Scottish suppliers. Check out the new and amazing Synergy/Treacle collaborated “body forward” menu. It’s healthy and damn tasty! Synergy Plus Card must be shown when asking for the bill for discount to apply. There is no better pizza….fact! Home made baking and salads at their best. Available Tuesday to Sunday inclusively. Management have right to terminate or amend offer at any point. FREE tea or coffee with the purchase of any signature bagel. A local bagel shop serving INCREDIBLE bagels. 10% off, free entry to any weekend nights and free ping pong for all Synergy Plus Card holders. Late night liquor joint that’s just too cool. Management have the right to refuse entry and service. FREE breakfast card, FREE chai with every meal and the chance to roll a six for a free meal. If you’ve not eaten hear, you’ve not lived. Free breakfast card given out by Synergy management when you receive your Synergy Plus Card. Breakfast cards only valid Monday- Friday. Synergy Plus card must be shown to redeem your chai. On your first entry to Dishoom Edinburgh after receiving your Synergy Plus card, show your card at the desk or to your server and ask for a matka dice token. You will be presented with a dice keyring to take away. Each time you’re in, show your matka token at the end of your meal and you will have the chance to roll a dice. If you roll a 6, the meal is on Dishoom!!! All offers only valid at Dishoom Edinburgh. Beautiful cafe full to the brims with homemade goodness and friendly staff. Brilliant vegan/vegetarian coffee shop in Livingston. Buy 1 Alumier Skin Treatment with Amber and get the second 1/2 price. 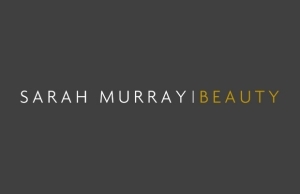 20% off for new clients and 15% off thereafter for all Synergy Plus Card holders. Deposit and cancellation policy applies. Synergy Plus Card must be shown for discount. 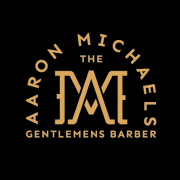 – All appointments need to be pre-booked via the Aaron Michael’s website and not prepaid as we can only discount at the till. Do you know how hard it is to find a good joiner? You’ve just found a brilliant one. Clients can also offer a voucher to friends and family for £250 off a new kitchen voucher* terms and conditions apply. To book use the link below or call the hotel and quote the corporate ID 100260130. – Bookings must be made in advance by emailing info@astrogymnastics.co.uk to check availability. – Open to kids from 8 weeks old to adult. – No discount on P&P. £5 off first visit and a free ice pack. Get those aches, pains and injuries fixed by Stephen Payton or Scott Campbell at Synergy Livingston. – Only valid for current and active Synergy Plus members. – Synergy Plus Card remains property of Synergy Group Fitness and must be returned on expiry of Synergy Plus membership. – Card must be shown at point of purchase to redeem discount. 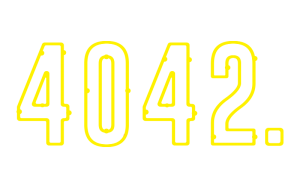 – Synergy Plus Cards are numbered as assigned to individuals and are non-transferable. – If card is lost or stolen, a £5 fee will apply for a replacement. – Our business partners have the right to refuse service or amend or cancel the discount offered at anytime. 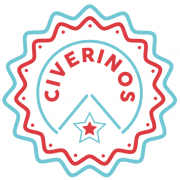 – Each individual business partner will have their own offer T&C’s.